White House Utility District (WHUD) is geographically Tennessee’s largest water and wastewater utility. WHUD’s service area extends 600 square miles and serves a population of just over 94,000. “We had reached a point where continuing to develop custom software interfaces between software applications became too restrictive,” said Bill Thompson, WHUD general manager. In 2005, WHUD implemented an extensive leak detection program that focused on the reduction of nonrevenue water [i.e., water lost in the distribution process that was not billable]. WHUD’s large coverage area posed a number of unique challenges for the district. The number one challenge was getting accurate information that could be analyzed quickly. In the initial stages of the program, the district was very successful. It reduced water loss from leaks by 50 percent, but WHUD reached a point at which results plateaued. 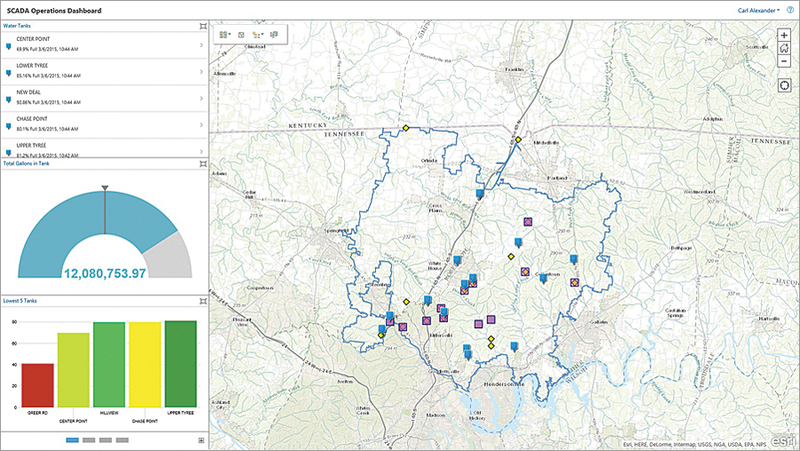 By working closely with Esri, WHUD was able to configure a connection that feeds real-time information from the district’s smart meters into ArcGIS. 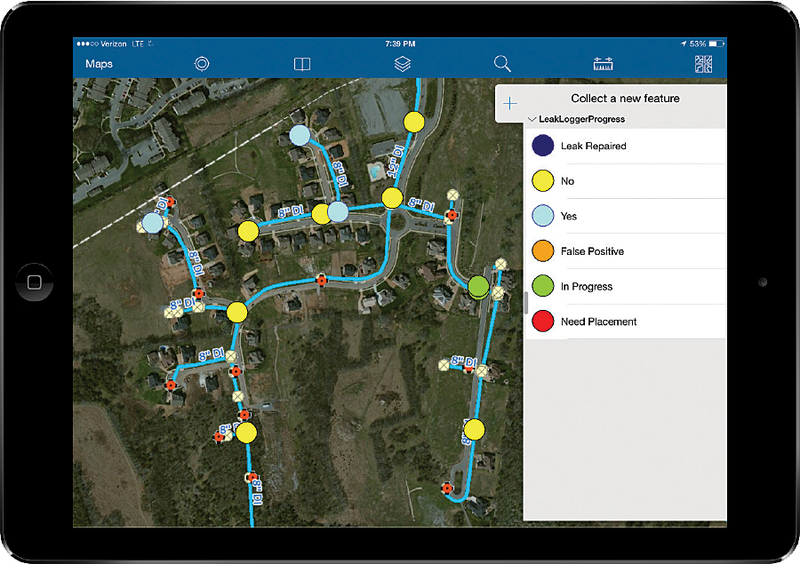 Esri also helped to configure the district’s supervisory control and data acquisition (SCADA) system so that flow meters, tanks, and pump stations all display real-time data. 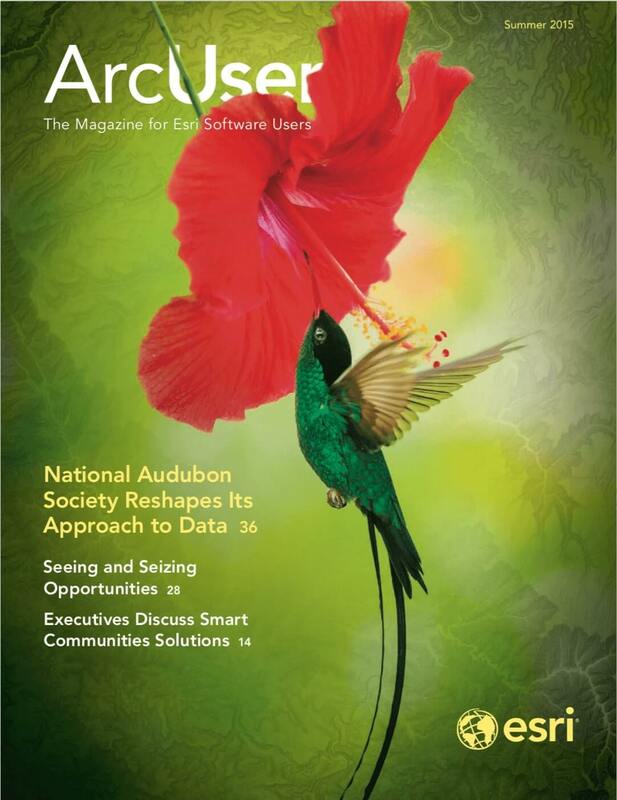 This information is accessible via ArcGIS for Server and ArcGIS Online as a web app and dashboard. All of the district’s flow meters are set up with high- and low-flow alarms. Anytime a meter’s readings go above or below the gallons-per-minute (GPM) thresholds, an alarm is sent. ArcGIS GeoEvent Extension for ArcGIS for Server receives that alarm and creates a GIS feature that notifies WHUD’s personnel. Staff can access the alarm’s location on any device through the point feature GeoEvent Extension creates. Those benefits have a direct effect on WHUD’s customers because they affect both short- and long-term water rates. WHUD expects initial savings to offset the cost of installing smart meters and the information technology infrastructure. So far, WHUD has improved planning, decision making, and customer service with the leak detection system. “The best part is that you don’t have to be an engineer to make use of the GIS,” Harrell said.